Our range of products include centrifugal pump for diesel. Innovation is our forte and we are engaged in manufacturing, supplying and trading Centrifugal Pump for Diesel. Under the guidance of our knowledgeable and experienced team, we carry out the production process to attain highest benchmarks of quality. These pumps are designed with perfection for pressure boosting, clean liquid transfer and circulation. 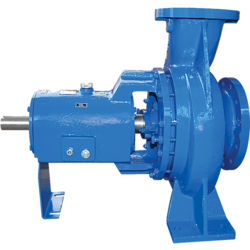 Looking for Centrifugal Pump for Diesel ?